How Can you Solve the Parking Problems by Self Ticketing? Nowadays we can see a lot of vehicles occupying the streets or a land in a crowded city. 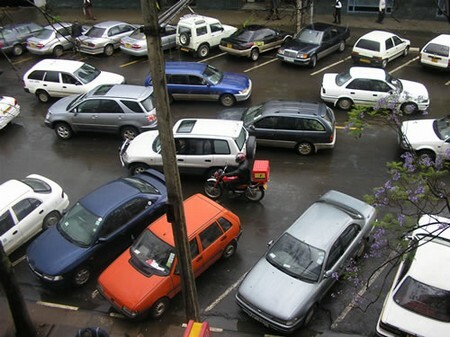 As there are so many vehicles running on the road, naturally there would be the problem of parking these vehicles. Though there are so many legal parking made by the government, but still some people have the habit of trespassing on private land. This problem has been effectively dealt in U.K. by implementing the solution of Self Ticketing. Actually Self Ticketing is nothing but it is an alternate solution for parking solutions on private land, as earlier the solutions applied were wheel clamping and removal services. Why Self Ticketing is useful? Self Ticketing is useful because when personally you want to solve the matter by confronting with the owner of the vehicle, the matter would become worse and would lead to a kind of war. However, it is also not practically possible to go for wheel clamping, and could become violent at any time. So, Self Ticketing is the best and most authorized way in U.K. to protect your land from this nuisance. Want to know more about Self Ticketing? This is an alternate solution to wheel clamping where you have got the legal rights to issue a Parking Charges Notice, and you are ought to get the payment for the violation of parking rules in your land. The first thing you have to do is put the contractual warning signs in the prominent locations for the motorists. If a motorist is sensible enough then he will deter parking illegally in your land. But if the motorist is adamant and ignoring your warning signs and parking his vehicle in your premises, then you have got the full rights to issue a legally enforceable parking ticket to the driver. For enforcing Self Ticketing system, there are some packages available to the land owners by the companies. Most of the packages contain warning signs, parking permits and notices for the parking charge. Then when someone illegally places his vehicle in your land, you simply have to fill out the parking charge notices and fix it to the illegally parked vehicle. It would be highly advantageous for you to take the photograph of that vehicle to make your point stronger. Then finally you have to mail the yellow copy by post or upload the details online to the concerned website of the company that has issued the tickets to you. Actually, these companies work in coordination with the Direct Vehicle Licensing Authority and can easily find out the where about of the offending drivers and get payment from them. For each ticket you issue you will get a compensation of £15 or £10 depending on the type of package you have taken. So, in this way Self Ticketing will not only solve your tiresome problem but also will fetch some money to your pocket.